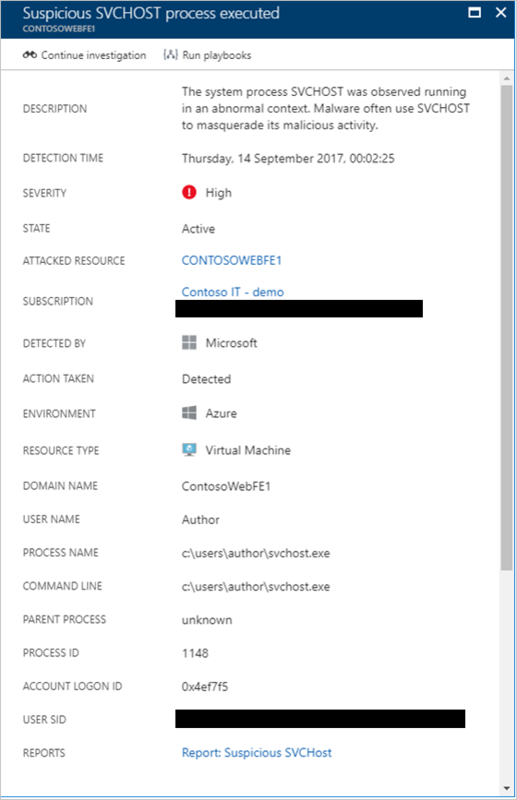 This document helps you to use security playbooks in Azure Security Center to respond to security-related issues. Playbook leverages Azure Logic Apps, therefore charges apply. 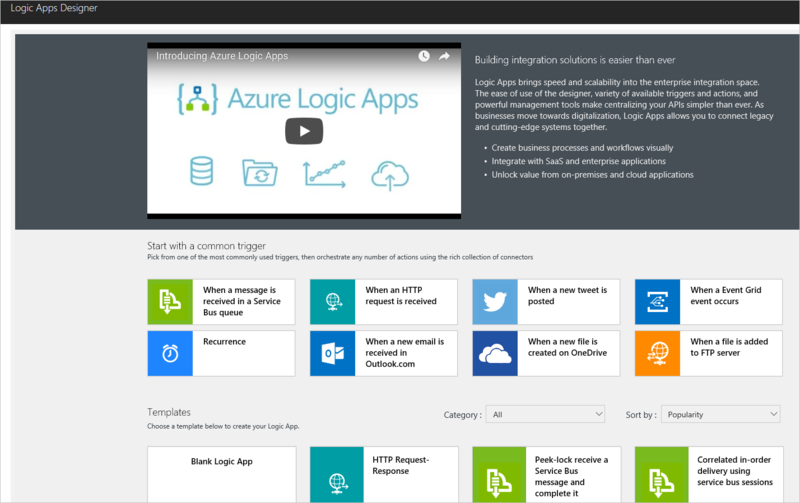 Visit Azure Logic Apps pricing page for more details. How to create a security playbook from Security Center? Under Automation & Orchestration section in the left pane, click Playbooks (Preview). In the Security Center - Playbooks (Preview) page, click Add button. In the Create Logic app page, type the requested information to create your new logic app, and click Create button. Once it finishes creating, the new playbook will appear in the list. If it doesn’t appear, click Refresh button. Once you see it, click on it to start editing this playbook. The Logic App Designer appears. Click Blank Logic App to create a new playbook. You can also select Security under the categories and use one of the templates. 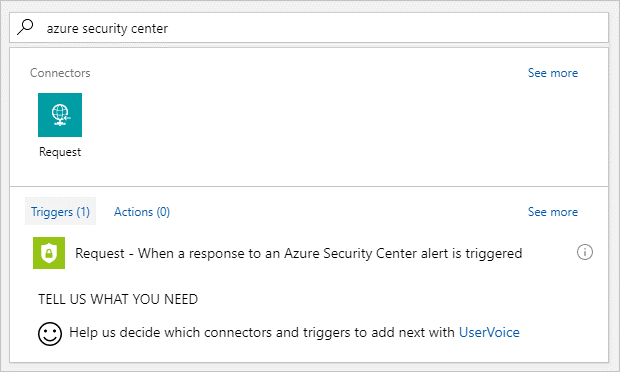 In the Search all connectors and triggers field, type Azure Security Center, and select When a response to an Azure Security Center alert is triggered. Now you can define what happens when you trigger the playbook. You can add an action, logical condition, switch case conditions or loops. How to run a security playbook in Security Center? 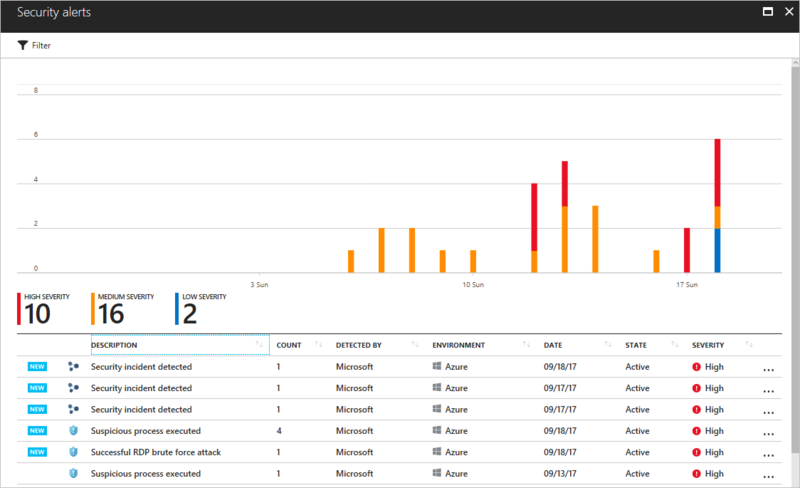 In the left pane, under Threat Detection click Security incidents & alerts. Click the alert that you want to investigate. In the top of the alert’s page click Run playbooks button. In the Playbooks page, select the playbook that you want to run, and click Run button. If you wish to see the playbook before triggering, you can click on it, and the designer will open. After running the playbook, you can also access previous executions, and steps that contains more information about the status of previously executed playbooks. The history is contextualized per alert, which means that the playbook history that you see in this page is correlated to the alert that triggered this playbook. To see more details about the execution of a particular playbook, click on the playbook itself, and the Logic App run page appears with the entire workflow. In this workflow you can see the time that each task took it to be executed, and you can expand each task to see the result. You can change an existing playbook in Security Center to add an action, or conditions. To do that you just need to click on the name of the playbook that you want to change, in the Playbooks tab, and Logic App Designer opens up. 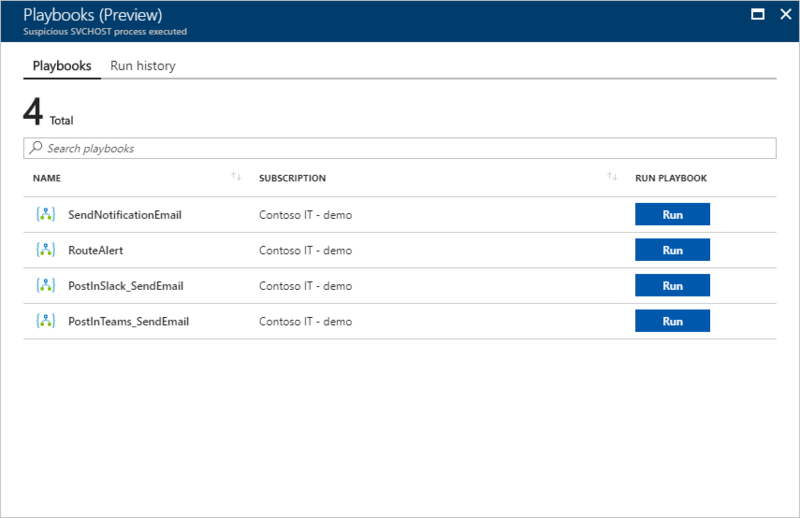 For more information on how to create your own playbook using Azure Logic App, read Create your first logic app workflow to automate processes between cloud apps and cloud services.